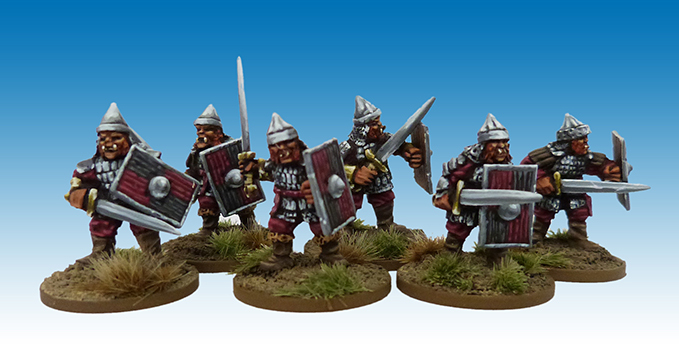 We are very pleased to release our latest 15mm fantasy range, the Mighty Hobgoblin Army. 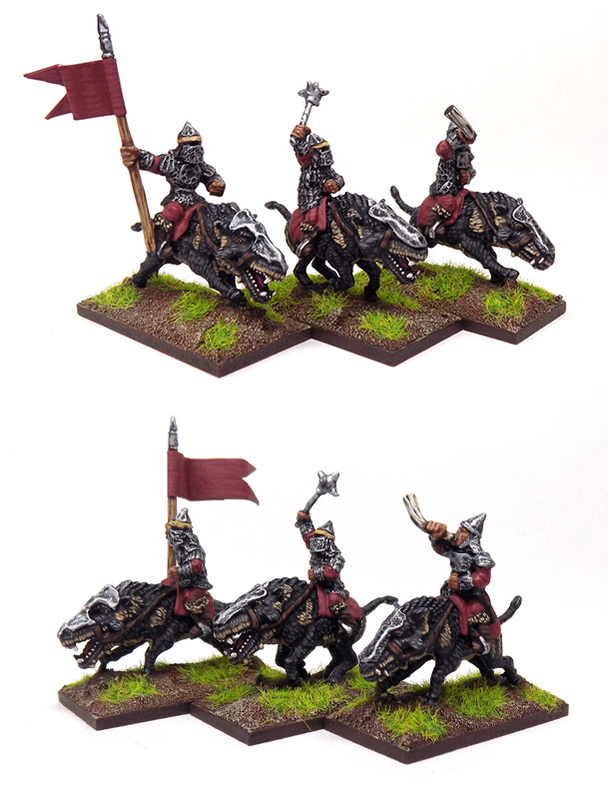 These creatures are as cruel and pitiless as Orcs but as brave and disciplined as men. 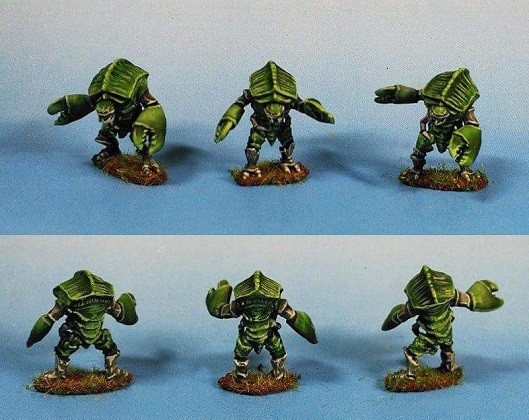 They are larger than humans, the models being about 18mm tall to the eye (so might also make useful goblins in 28mm scale as well). 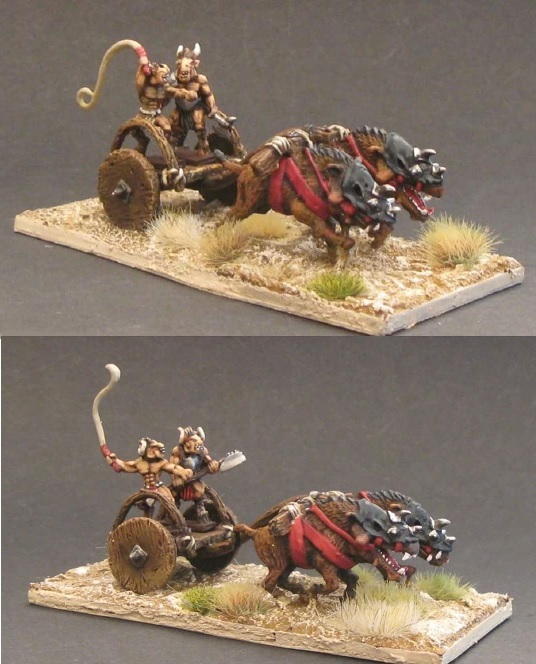 The mounted hobgoblins ride Entelodonts, an actual extinct species of large and aggressive flesheating pig-like creatures from the Oligocene Epoch. 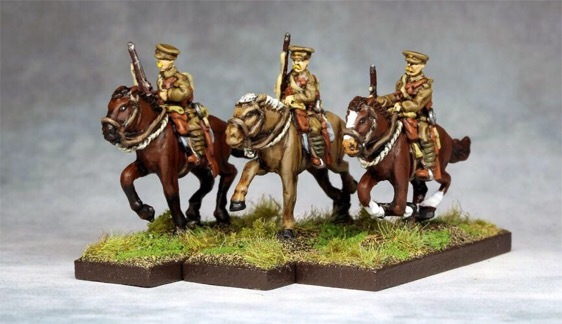 These look great, I wish there was a camel (type thing) riding variant of the Cavalry. .......maybe sometime in the future? 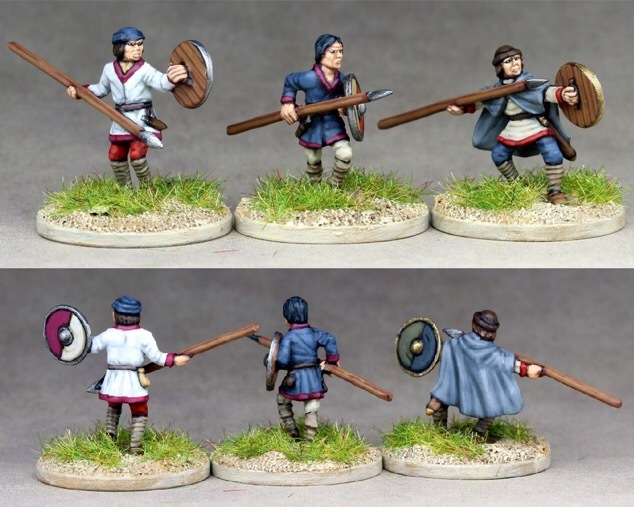 We've just released 15mm Jurchen as opponents for our popular Sung Chinese range. 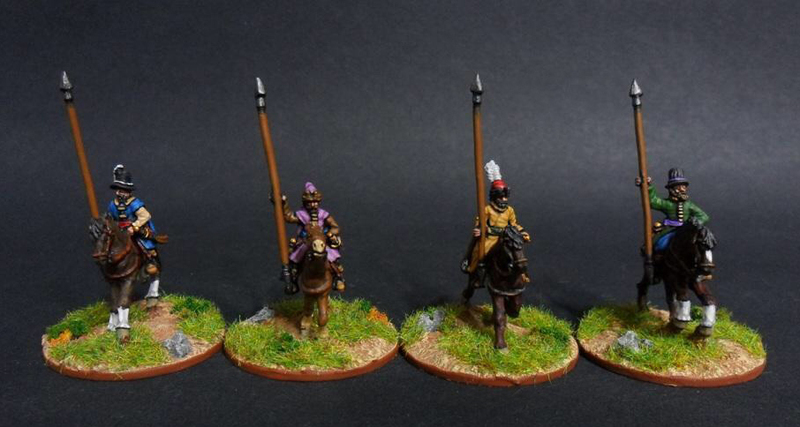 It's a complete range for the Jurchen Jin dynasty who were the epic foes of the Sung, in the century before the Mongols came and swept both dynasties away. 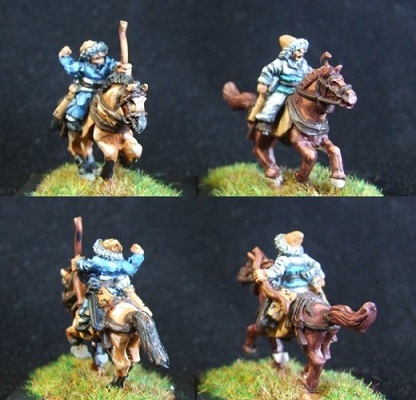 The Jurchen were Manchurian horse warriors who overthrew their Khitan Liao overlords and established their own dynasty in the north of China. 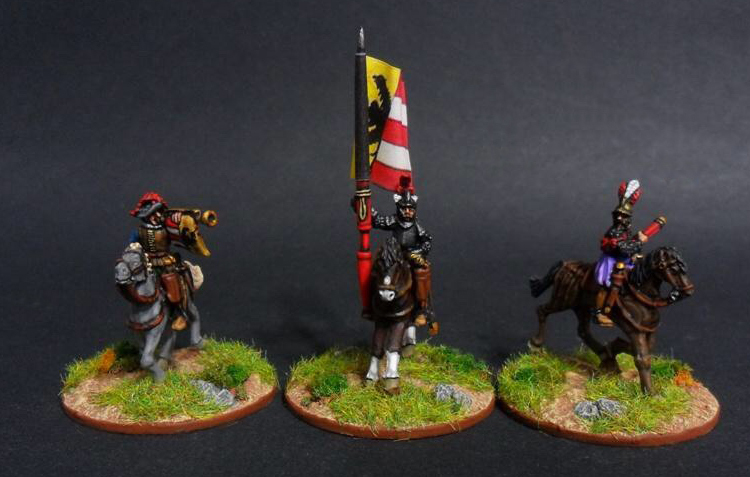 Man, those taliban models would make sweet alt-tallern guardsman if it was in 28mm scale. 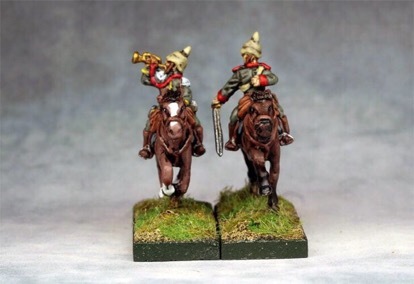 Or you could always convert to 15mm and get your armies a lot cheaper and painted faster.... 40k would look even better using 15mm models instead of like tanks driving at each other in a bizarre traffic accident. 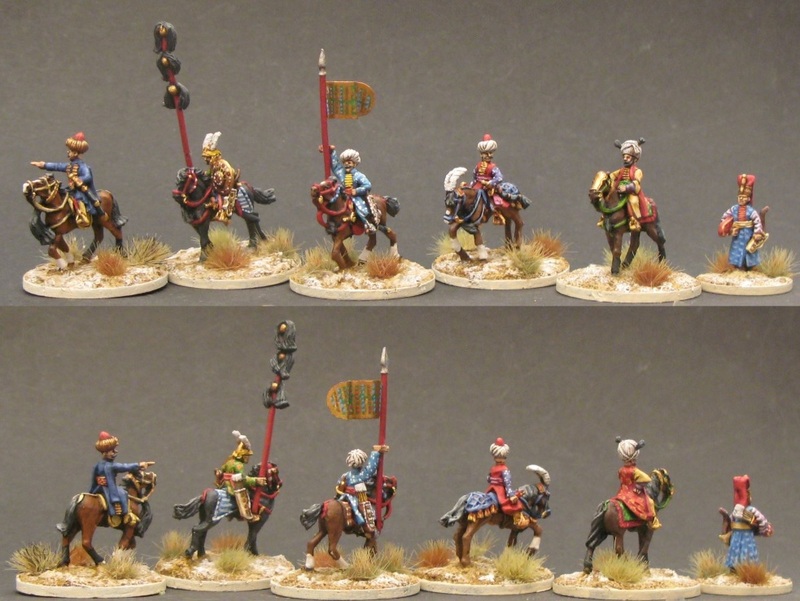 As usual, the Khurasan models are top notch. 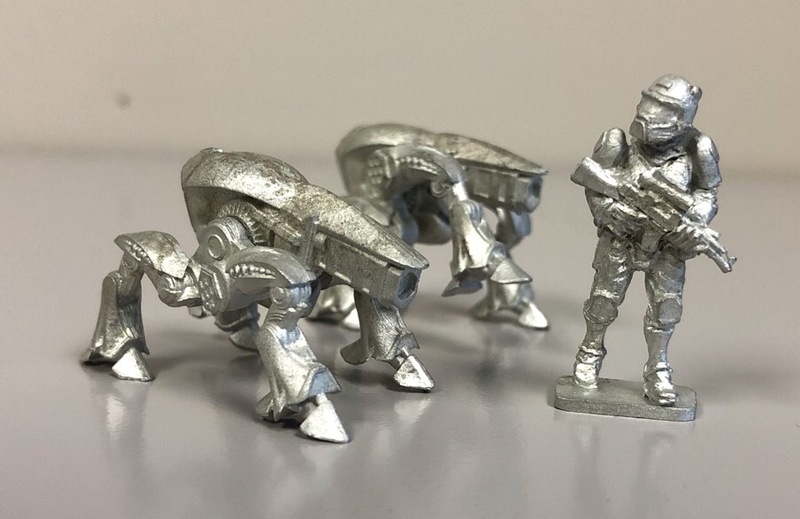 A mysterious trio of hunters are our latest release for our 15mm modern zombies range — hunters, they say, but not of zombies. 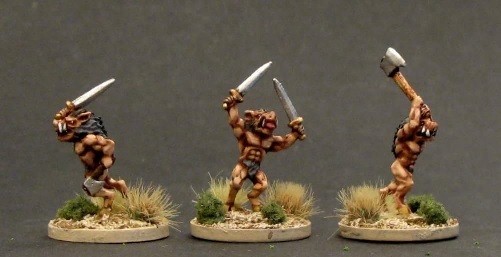 They are pretty tight lipped about what they’re hunting, especially the fellow in the middle. Friday seems the perfect day to release this set! Don't get any references on the other two, though.... The left almost looks like Rorschach. 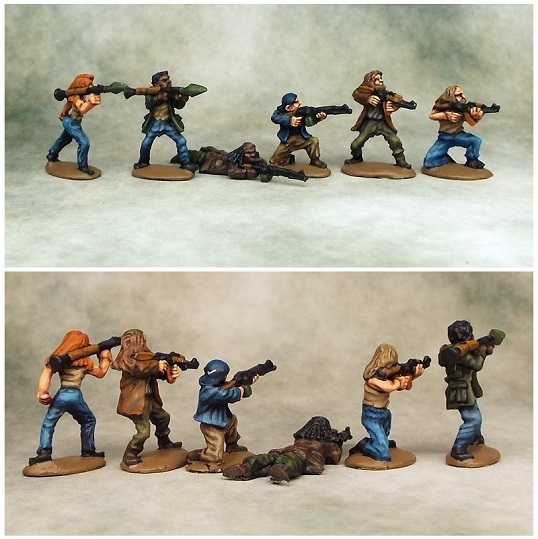 We've just released the "Gundogs" for our alien Soriog Empire range in 15mm. Those gundogs look great! 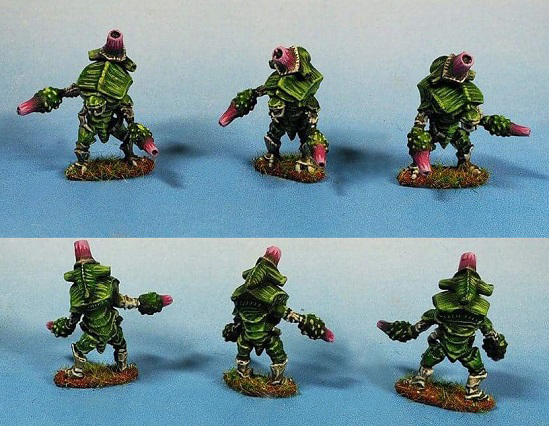 Almost have a bio-mechanical feel to them. Can't beat that price, either! Dutch and French are coming next! 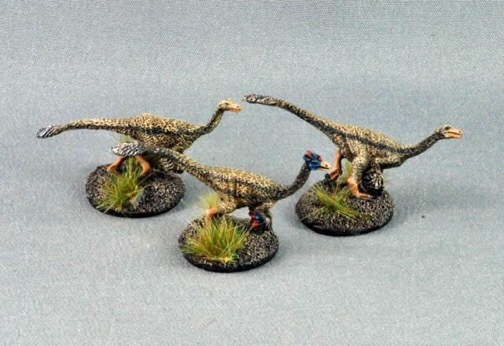 We've just released a mini-herd of Struthiomimus in 15mm scale for our Hell Creek range of dinosaurs. These are the so called "ostrich dinosaurs" or "ostrich mimics," which were closely related to the Gallimimus that you may remember from Jurassic Park ("they're flocking this way") but are correctly depicted with feathers, including wing feathers and tail feathers. One pose has a fancy head crest as an adult, the other two being females. The Hell Creek range is meant to portray all of the major dinosaur species from one time and one place -- Hell Creek is the Late Cretaceous geological formation in Montana which yields Tyrannosaurus rex and Triceratops. It's meant for fantasy gamers as well as Lost World scenarios, but can be used for straight up dinosaur gaming as well, if there is indeed such a thing! 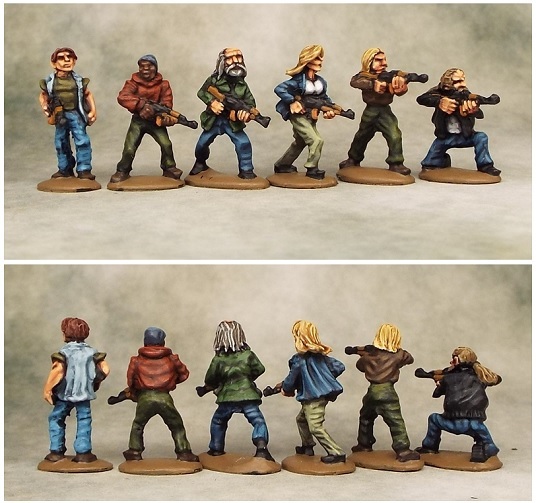 We have just released twelve poses of 15mm survivors with military style weapons -- six with assault rifles and six with squad heavy weapons (two SAWS, two rocket launchers, and two light machine guns). I'm liking the looks of those. Going to order some as soon as the Gigantomorph Rex monster thing is released. Any ETA on that one? I believe you may have used the wrong pic for the bio-mortars. 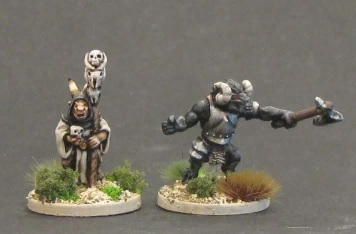 Otherwise I love the look of these models. 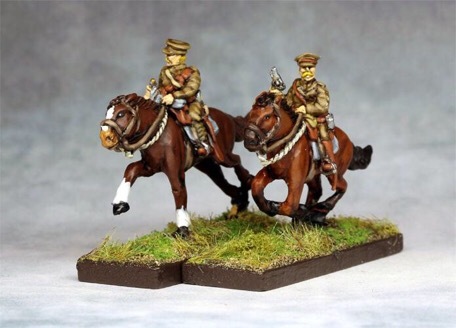 We are pleased to release a range of 15mm Modern British Army figurines. The British Army has been in constant evolution for the past decade or more, which continues at present, and we decided as a compromise to make the first infantry codes for the late stages of Operation Herrick, so wearing the Mark 7 helmet and with the very heavy weapons load used by platoons in that period. After that it will be released. 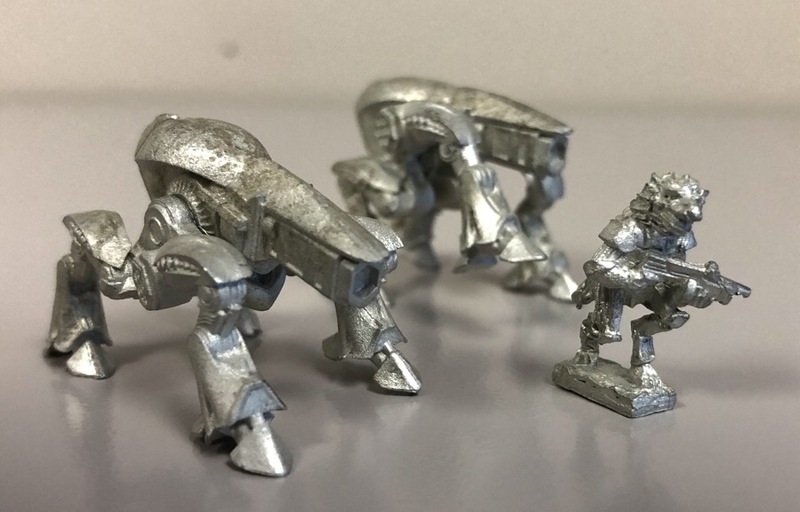 It's so big it'll work really well as a T rex size space demon with the 15mm guys, as well as for its original purpose, as a mech-murdering space demon for the 6mm range. The three varieties are the Fusilier, which has one energy weapon arm and one pincer arm, the Jaeger, which has two energy weapon arms, and the Grenadier, which has two pincer arms. 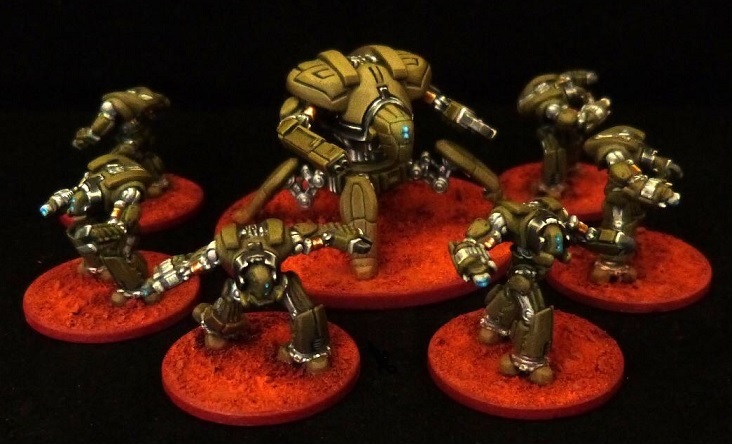 The Dragoon is big and menacing -- as well armed as a light tank, and more durable. It is provided with five legs -- four positioned standing, and a fifth lifted a bit to reflect motion. It also is provided with two pincer arms and two energy cannons so it may be armed in the same varieties as the infantrybots -- two energy weapons, two pincers, or a combination of both. 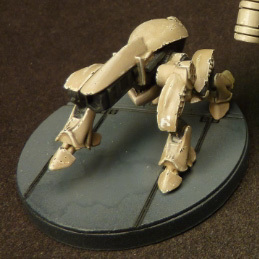 It's large enough to be quite passable as a war robot in 28mm as well. 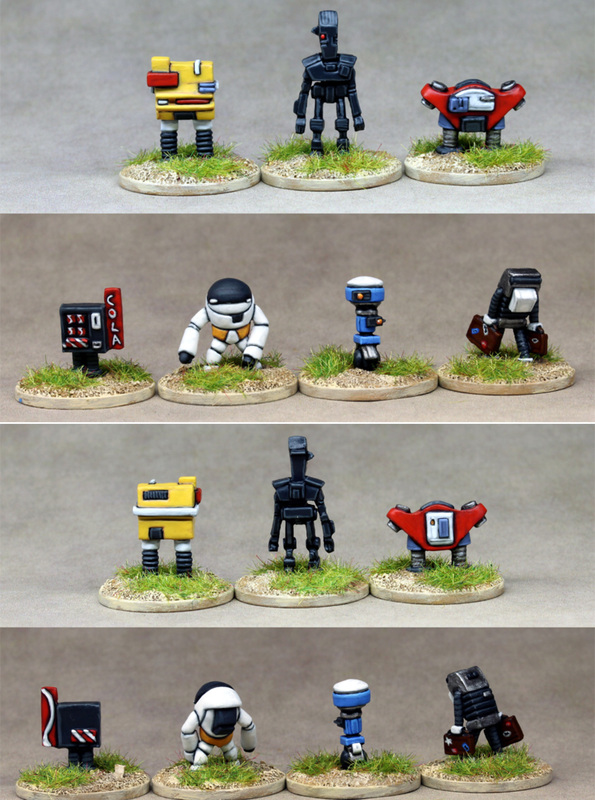 While the older chasses of the Grenadier and Jaeger are being phased out of active frontline invasion service by the Mekanoids, they are still held in reserve and used in garrison duty, so the existing models will still be available. 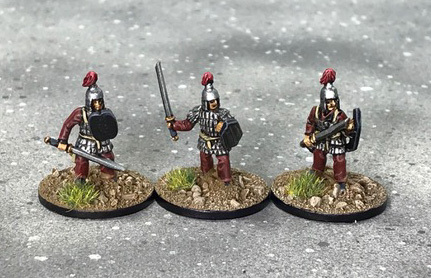 We are very pleased to release our first major expansion of our late 14th century European range, Germans and Teutonic Knights. These have been made to capture the unique appearance of the armours and clothing worn by troops who adopted these fashions, which included the Poles and Bohemians, as well as the Hungarians and Serbs and others in Southeastern Europe who often wore German as well as Italian armour. 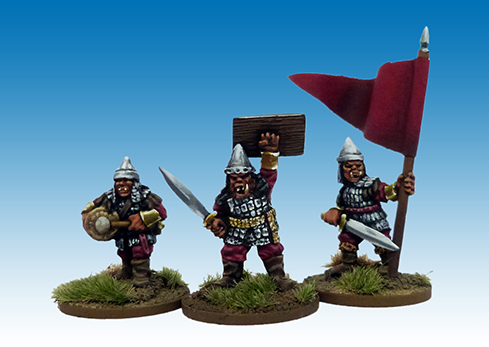 The feudal troops of the Ordensstaat would have worn German styles as well. 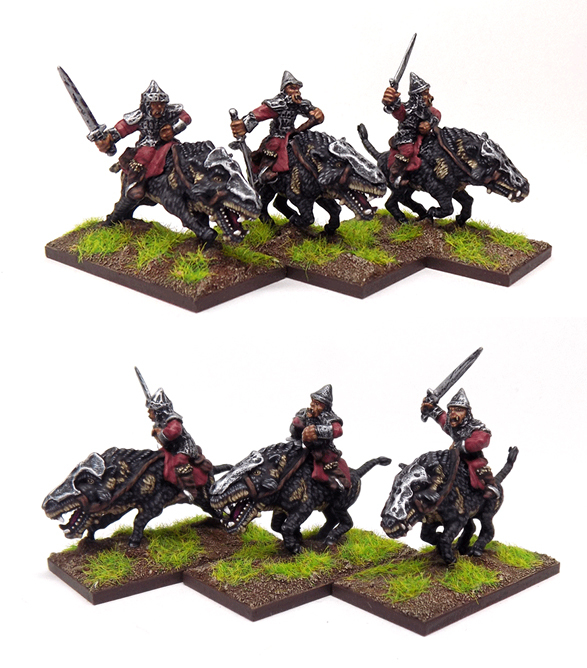 We've also released models for the Brethren of the Order, in jupons but using the Lithuanian pavise shield. 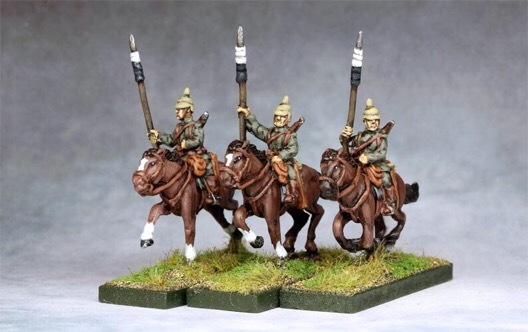 Teutonic, Polish, Lithuanian and Hungarian infantry and lighter cavalry models have been made and will follow these models up in due course. These were the Pharaohs of the XVIII dynasty, including Thutmosis III, the "Napoleon of Egypt," who never lost a battle, including the epic Battle Of Megiddo (Armageddon), and took the Empire as far as Mesopotamia. This period was fairly distinctive from the later New Kingdom so often represented in miniature ranges. 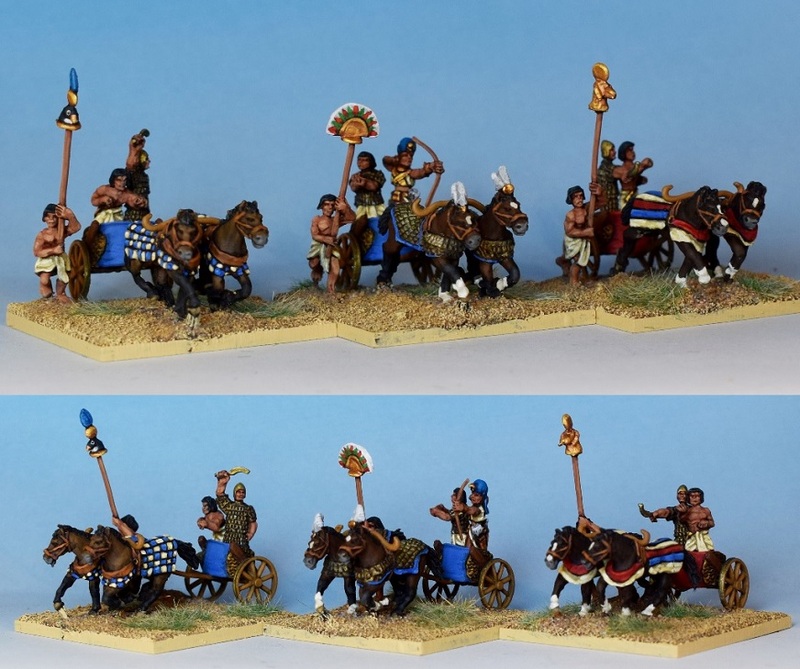 In this period the chariots and infantry were lighter and more mobile, with the empire of the attack. Later, reverses and dwindling resources would require that the infantry especially wear more armour. 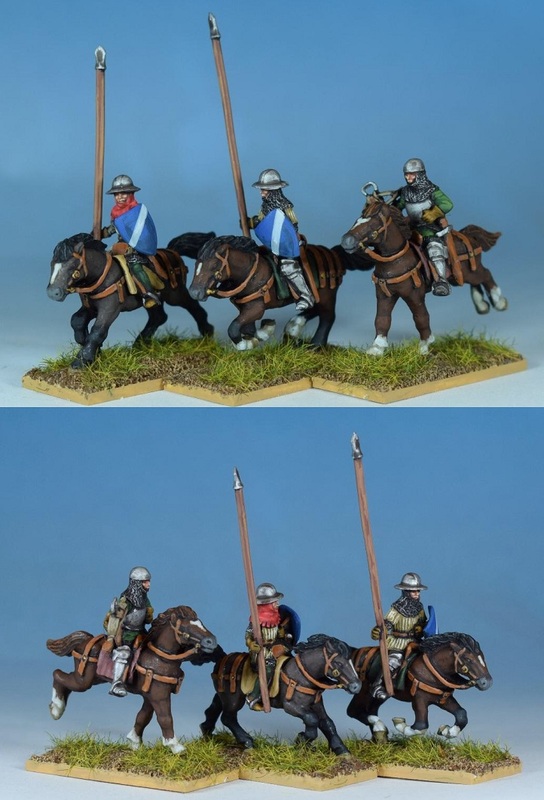 We are very pleased to release two new codes for our late 14th century Medieval range – handgunners and Livonian javelinmen. 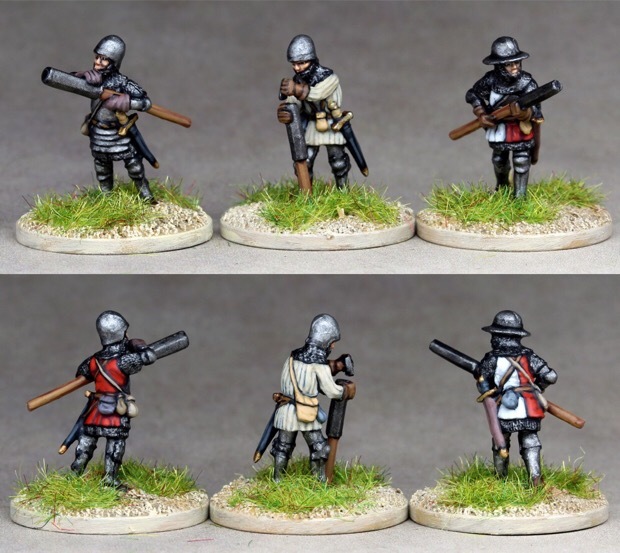 In this period handgunners usually skirmished with the enemy, but had to get close for their weapons to be at all accurate, and as a result often wore heavy armour. 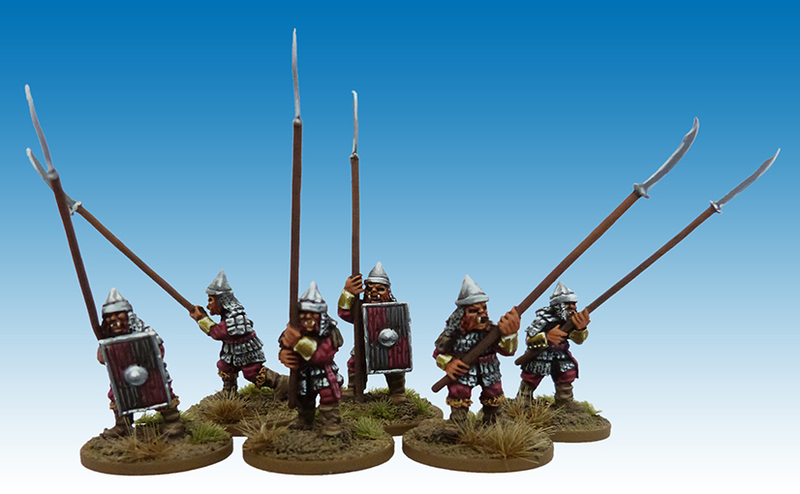 Livonians fought in the armies of the Teutonic Knights and the Estonians and Finns would have looked the same. 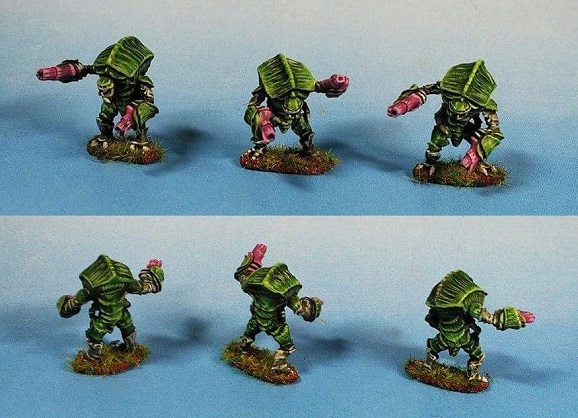 We are very pleased to release the first set of Schiffer Aliens in 15mm. We will release more for the Schiff Combine of these are well received. 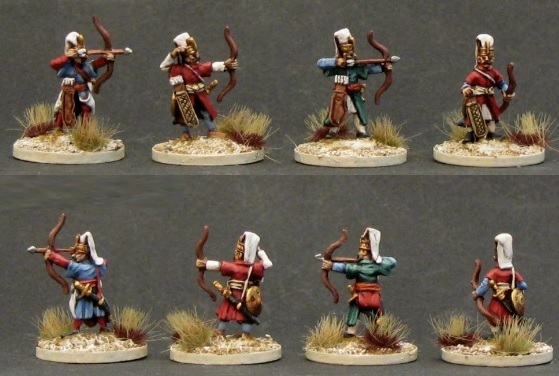 We are very pleased to release two new codes for our popular 15mm Later 14th Century European range, Sergeants/Mounted Crossbowmen, and Turkopolen. 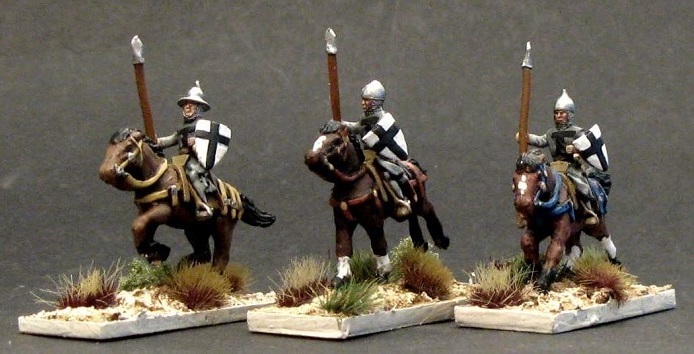 The sergeants would fill in the rear ranks of knightly formations and were often sent off on flank duty. 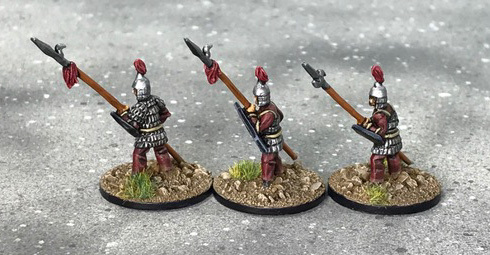 The models come with enough lances, shields, crossbows and quivers to make all three either lance (or javelin) sergeants, or mounted crossbowmen. 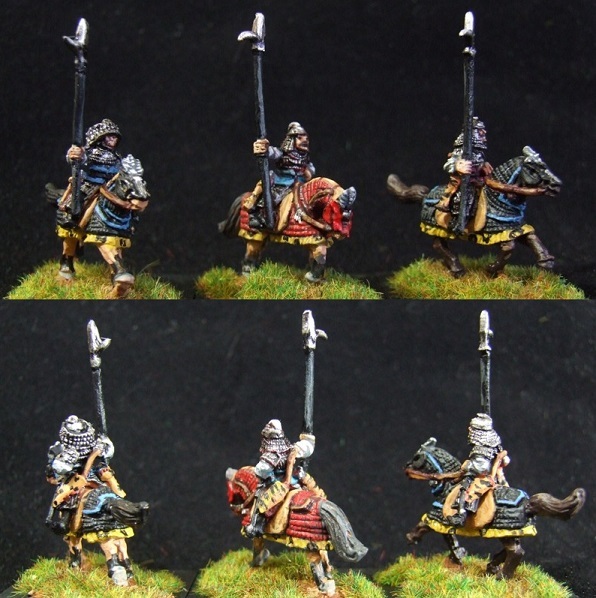 They weren't Turks, but the native light horsemen raised by the Teutonic Knights were called "Turkopolen" (Turcopoles) anyway, because they fulfilled similar duties as the Turcopoles had for the military orders in Outremer. 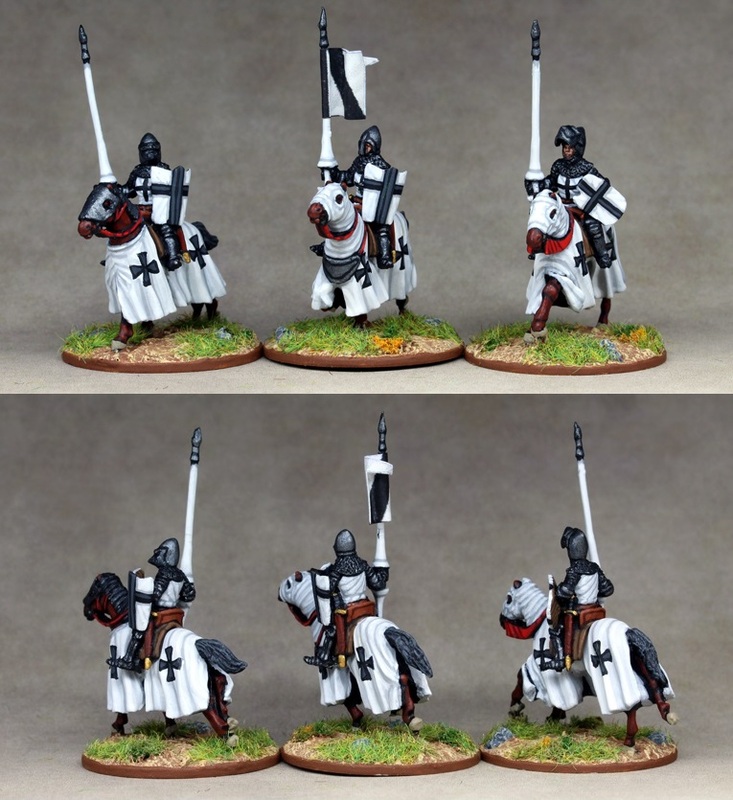 They are extremely useful in Teutonic Knight armies. Both are available now -- the range is getting quite extensive so you may need to do a word search on the page!